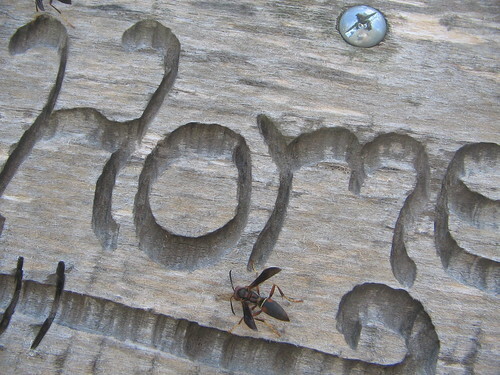 Little wasp crawling around on a wooden sign in Harpers Ferry, WV. Probably scraping bits of wood for its nest. Nice photo! Yes, nice photo, but it makes me want to take a fly swatter to the computer.